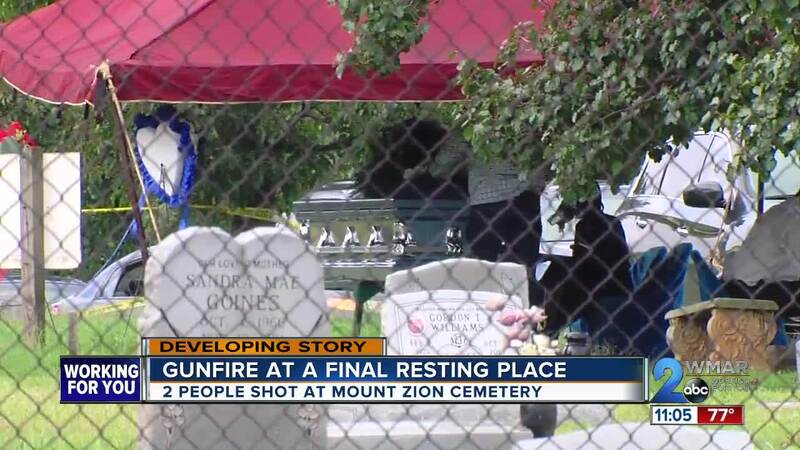 One person is dead and another is in "grave condition" after shots were fired during a funeral Wednesday afternoon, Baltimore County Police said. Four ambulances were dispatched to the cemetery and emergency officials transported three people to the hospital. One person was declared dead on the scene, one is in serious condition after being shot, and another person was transported after suffering chest pains. 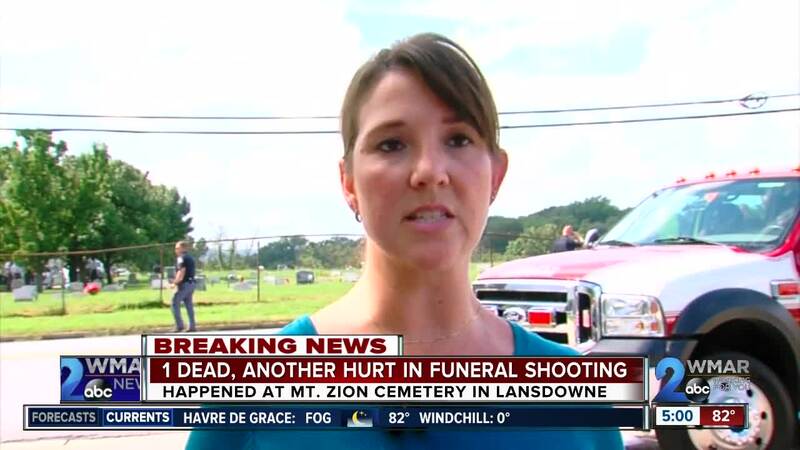 WMAR-2 News reporter Abby Isaacs is at the cemetery and says people were at the funeral when the gunshots rang out, so they ran for their lives. Police say cars were arriving at the cemetery for the funeral when there was a disturbance before the services began. The ceremony was about to begin when gunshots rang out from a small group of men. The funeral was for 18-year-old Marcus Brown, who was shot and killed in the 1400 block of North Mount Street. The man who was killed was later identified as Maurice Brown, Marcus Brown's older brother. 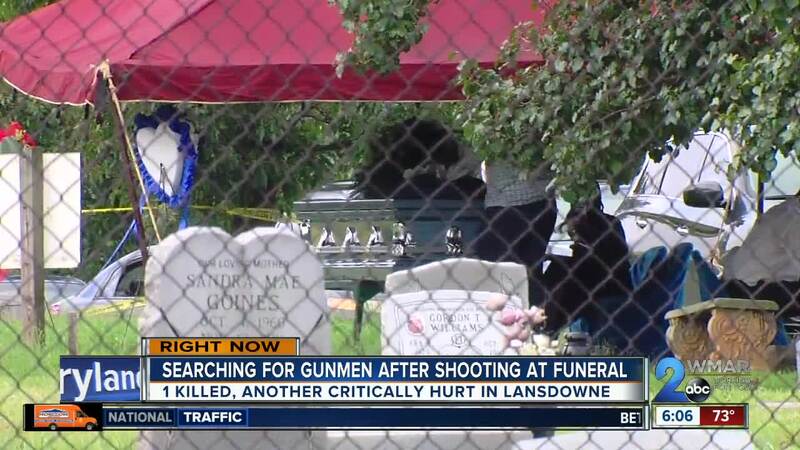 Police placed Landsdowne High School, which is across the street from the cemetery, on lockdown as a result of the shooting, but lifted it about an hour later. Hollins Ferry Rd is also closed between Daisy Ave & 5th Ave as police investigate. Police say the second shooting victim is in serious condition at shock trauma as of Wednesday evening. Another person at the funeral was rushed to the hospital with chest pain.